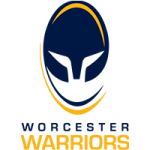 Warriors’ hopes of a first appearance in a major domestic final were dashed by Saracens in the semi-final at Sixways. Once again Warriors found themselves down at half time but, despite second half tries from Tom Howe (two) and Nick David, this time there was no comeback victory to celebrate. 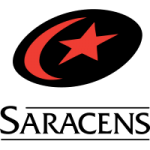 Saracens’ line speed in defence, opportunism in attack and the accurate kicking of Alex Lozowski – who finished with a personal haul of 18 points – proved decisive in frustrating Warriors who stuck to their task gamely but without reward. Saracens had control of the game in the first half when they opened up an 18 points lead but Warriors tested their resolve in a fiercely competitive second half. Having run Saracens close twice at Allianz Park this season, Warriors knew that if they were to defeat the defending Premiership champions they would have to nullify them in attack and maintain their discipline. But Warriors had a heavy penalty count against them in the first quarter and they also found themselves 12 points down in as many minutes as Saracens scored two opportunist tries. First they blocked a kick-through from Scott van Breda, hacked upfield and scrum-half Tom Whiteley scrambled over for the try which Lozowski converted. Saracens right wing Ali Crossdale then wriggled free on the right before he cut back infield and set left wing Rotimi Segun free to run in the second. Warriors enjoyed long periods of pressure and looked dangerous with ball in hand. But handling errors prevented them from turning territory and possession into tries and penalties at the breakdown allowed Saracens to escape. Lozowski stretched the lead with two penalties when Warriors infringed in defence before van Breda pulled back three points on the stroke of half time. Warriors thought they had scored a try when Nick David dotted down but referee Christophe Ridley consulted TMO Trevor Fisher who spotted a knock on. But the referee had been playing advantage and van Breda levered over the penalty to give Warriors something tangible for their hard work. David got Warriors back into the match five minutes into the second half when he finished off a sustained attack for his maiden senior try but he immediately left the field with a shoulder injury and Lozowski slotted two penalties in quick succession in reply. Howe then went over for his first try when he followed up his own kick ahead but the door was slammed shut on Warriors by Saracens fly-half Max Malins who sliced through for a superb individual try and then set up Sione Vailanu for another. Warriors, as always, remained committed to the end and Howe went over at the death to continue his fine try-scoring record and Duncan Weir banged over the conversion from the touchline. Warriors | 15 Nick David (Weir 50), 14 Tom Howe, 13 Wynand Olivier (C), 12 Will Butler, 11 Dean Hammond (Hearle 76), 10 Scott van Breda, 9 Jonny Arr (Heaney 68), 1 Ethan Waller (Black 73), 2 Niall Annett (Miller 39), 3 Gareth Milasinovich (Kerrod 51), 4 Darren Barry, 5 Anton Bresler (Dodd 58), 6 Matti Williams, 7 Carl Kirwan, 8 Matt Cox. Replacements | 16 Isaac Miller, 17 Callum Black, 18 Simon Kerrod, 19 Marco Mama, 20 Tom Dodd, 21 Michael Heaney, 22 Duncan Weir, 23 Alex Hearle.